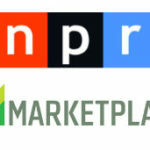 Elliot on NPR’s Marketplace 5/3/17 – Just 34 percent of homes have regained pre-recession values. Is that a bad thing? You are here: Home / Media Appearances / Elliot on NPR’s Marketplace 5/3/17 – Just 34 percent of homes have regained pre-recession values. Is that a bad thing? Elliot talks with Marketplace’s Annie Baxter about the housing market recovery on 5/3/17. Listen to the interview.